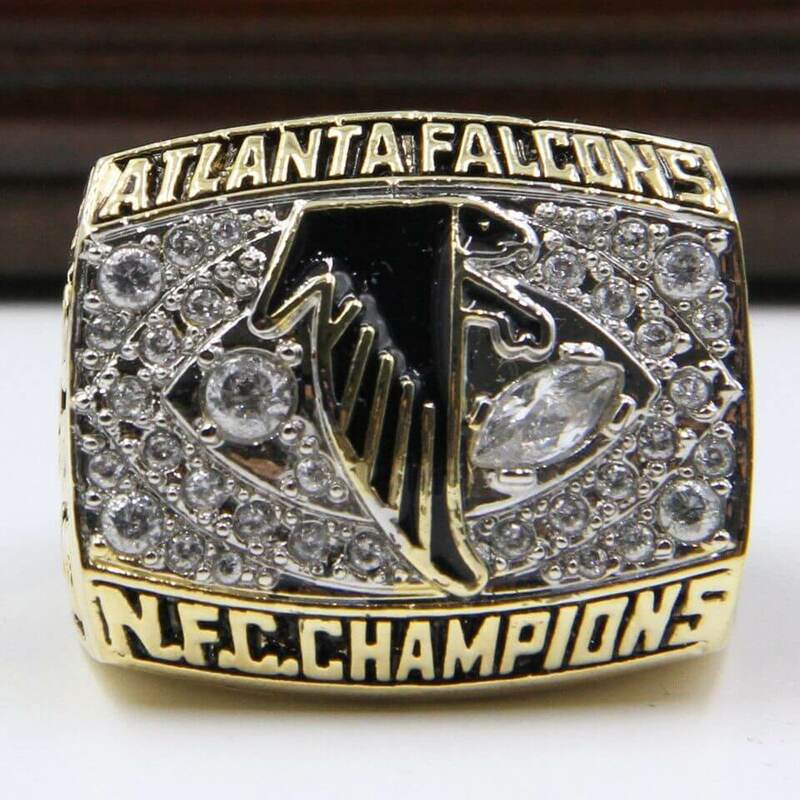 Atlanta Falcons are a professional football team of U.S.A based in Atlanta, Georgia. 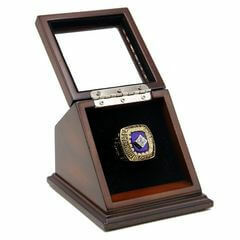 The Team owner Rankin Smith in 1962. 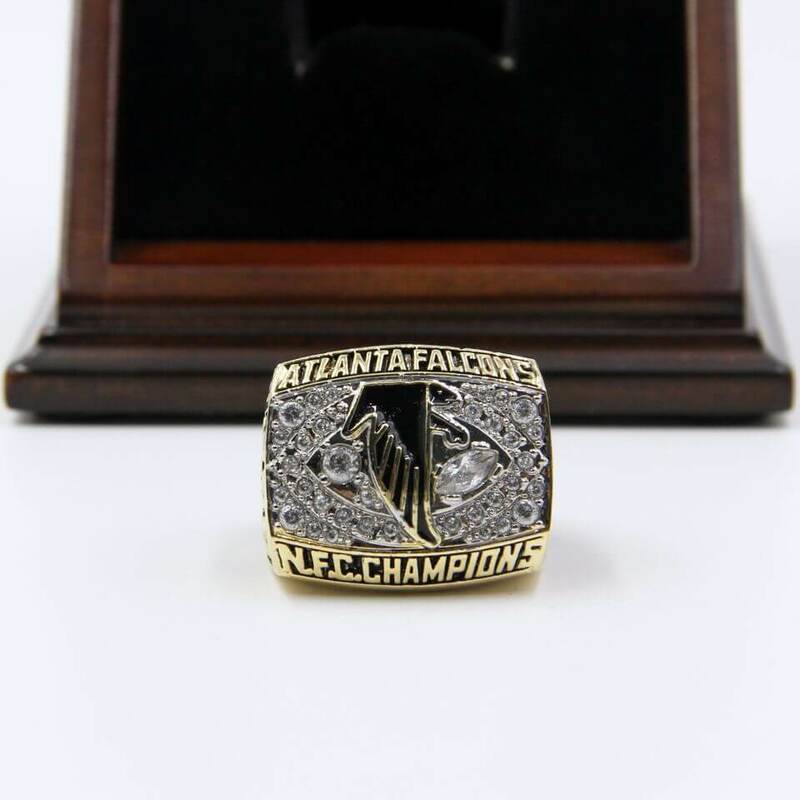 As a member of the NFC (National Football Conference), Atlanta Falcons had appeared in two Super Bowls, the first time is during 1998 season, and however it lost Super Bowl XXXIII to Denver Broncos, and the second time was the most recent season that defeated by New England Patriots at 34:28 in overtime and lost in Super Bowl LI. 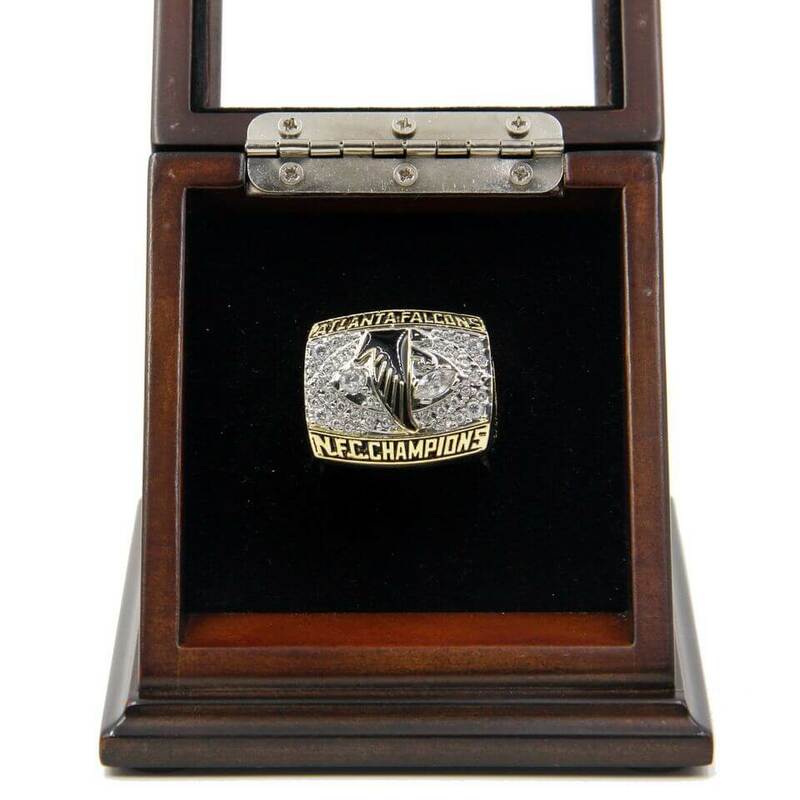 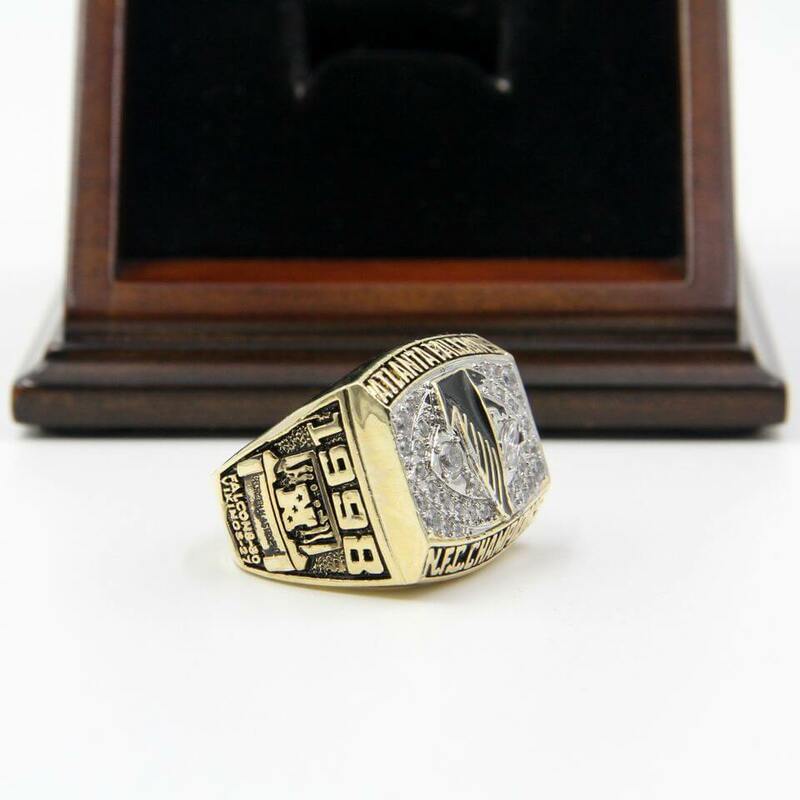 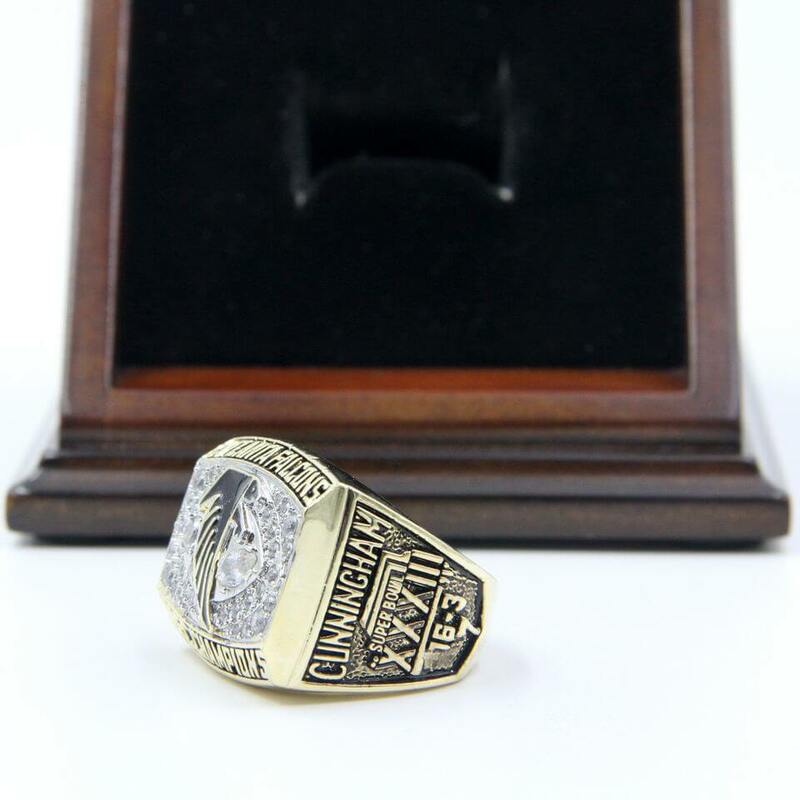 NFC 1998 Atlanta Falcons Championship Replica Fan Ring with Wooden Display Case includes one Atlanta Falcons NFC championship ring in 1998. 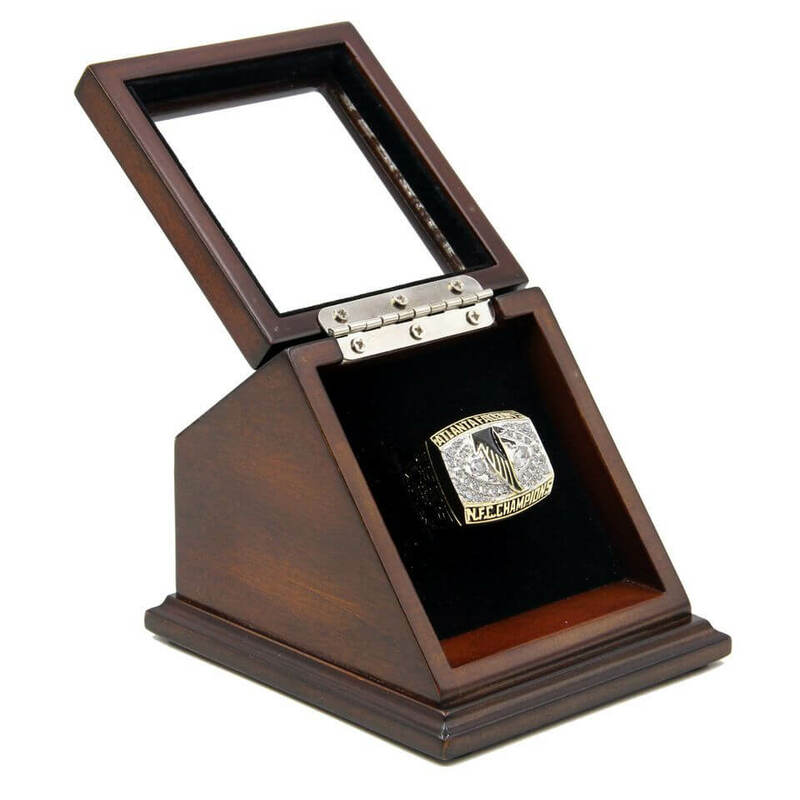 A beautiful wooden display case with slanted glass window is included to bring the best memories of this team. 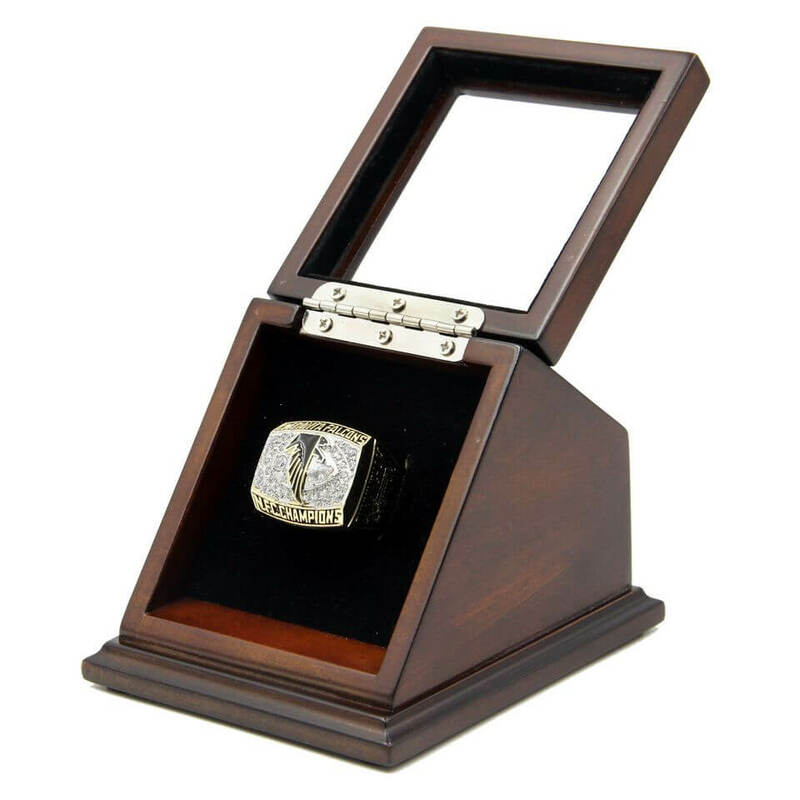 For most of the fans of Atlanta Falcons, the display case would be a unique and a great gift to your friends and families, it is a truly one of a kind item that would stand out in any Atlanta Falcons football collection. 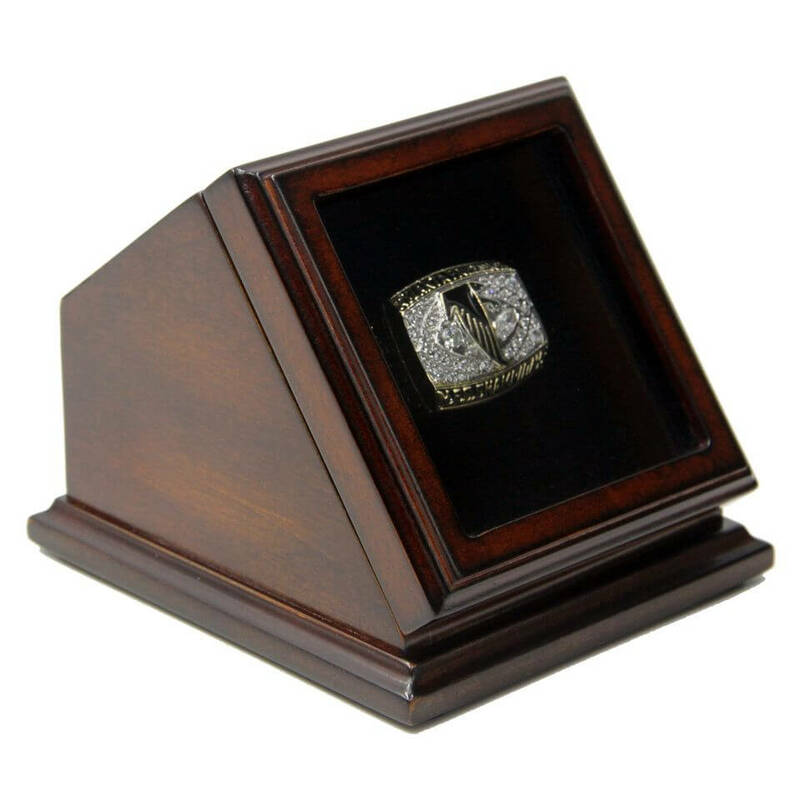 The Atlanta Braves are an American professional baseball team based was founded in 1869 Boston, Ma..